This classic cast iron boot jack and scraper would look great outside your back door. 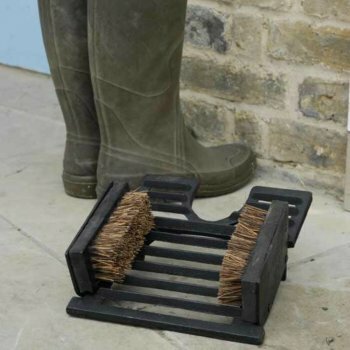 It has two brushes on either side of the foot rest to clean off those muddy boots and then a handy jack on the front, so no more bending down to take off your wellies! A great foot brush and boot scraper.